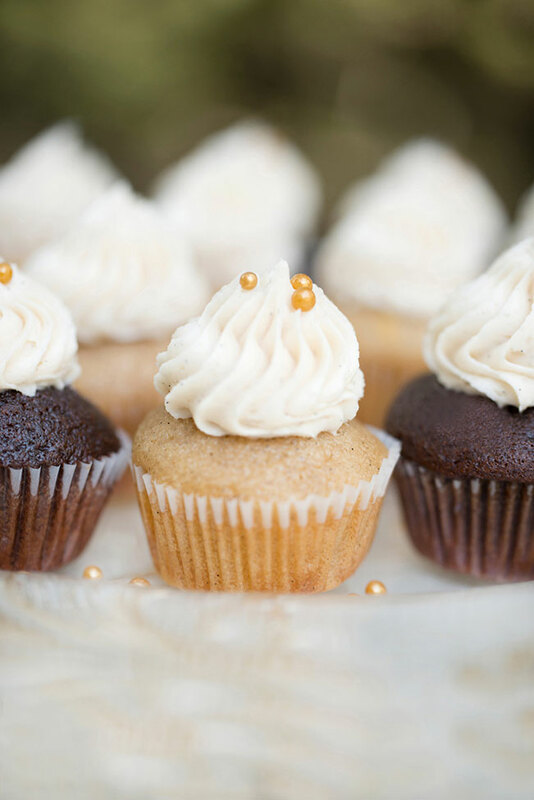 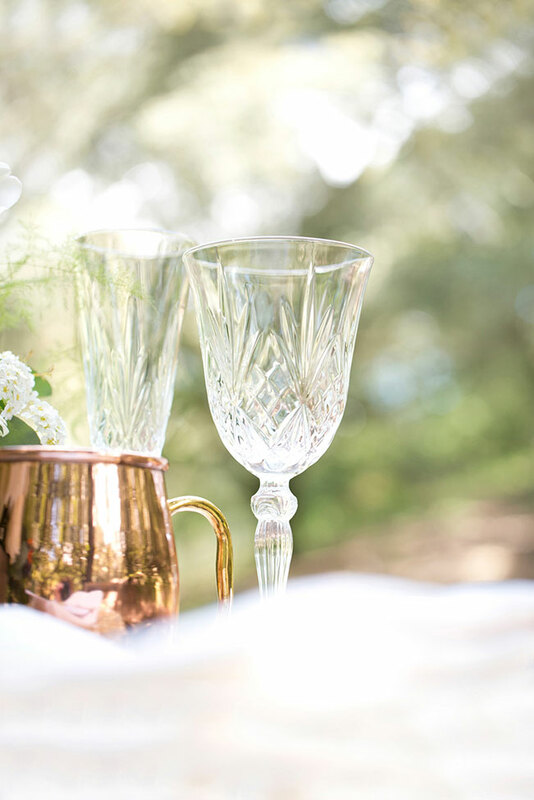 If you know anything about me, you know that I love taking something that is so clearly one style and dialing it up to perfection with the introduction of another. 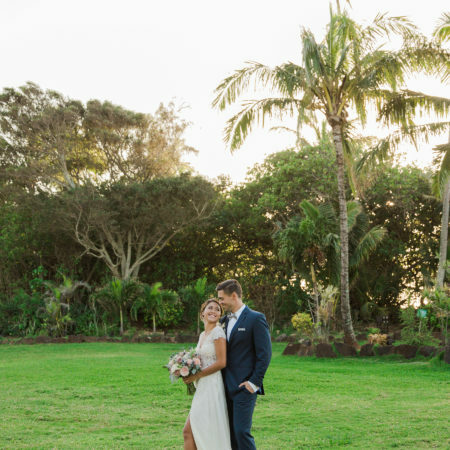 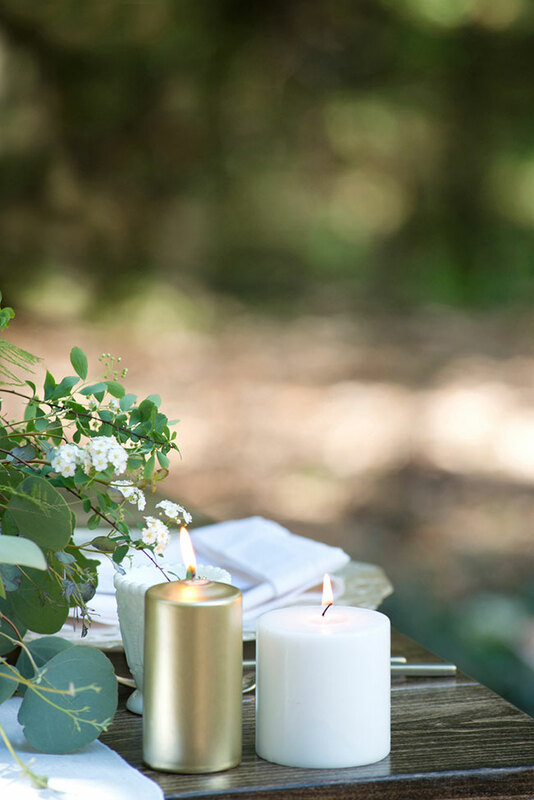 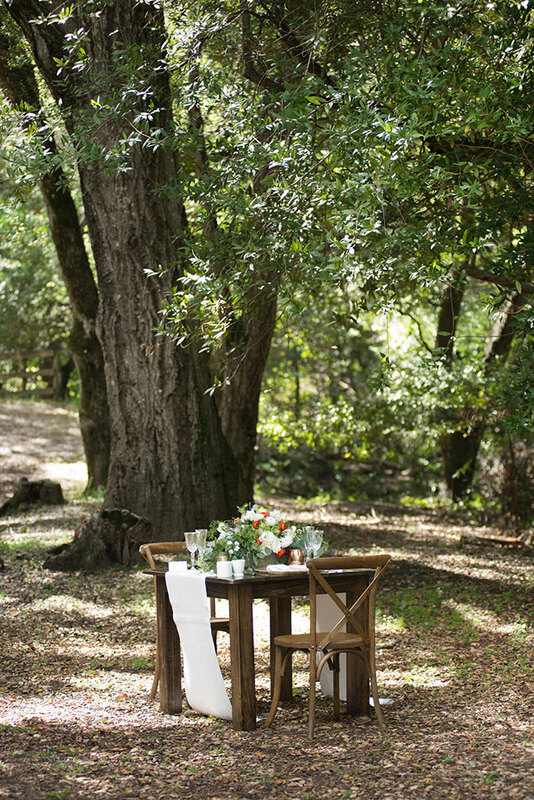 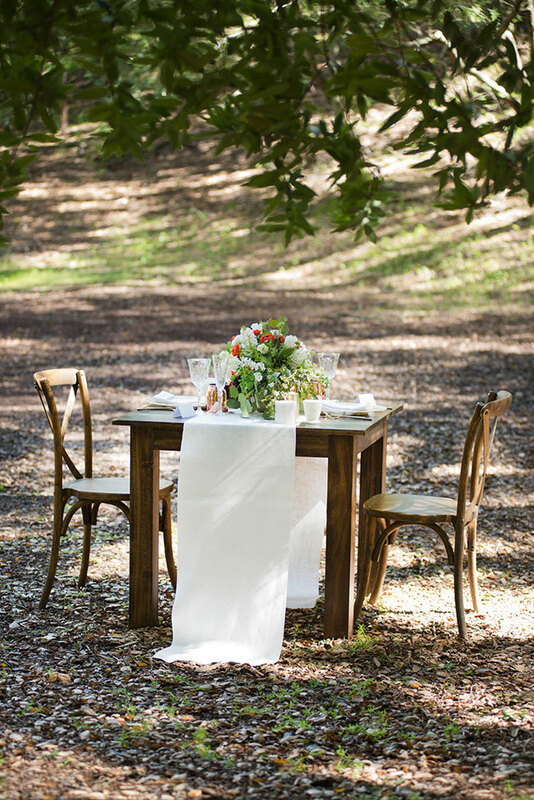 Today’s dreamy woodland wedding is exactly that! 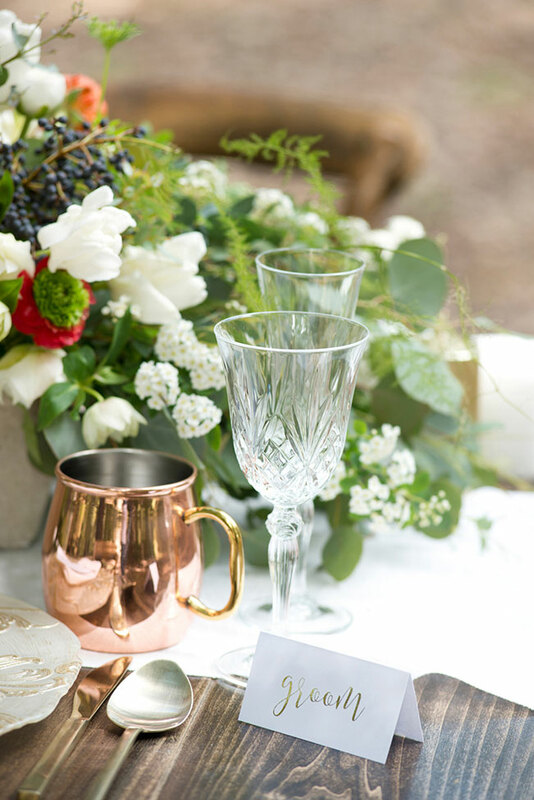 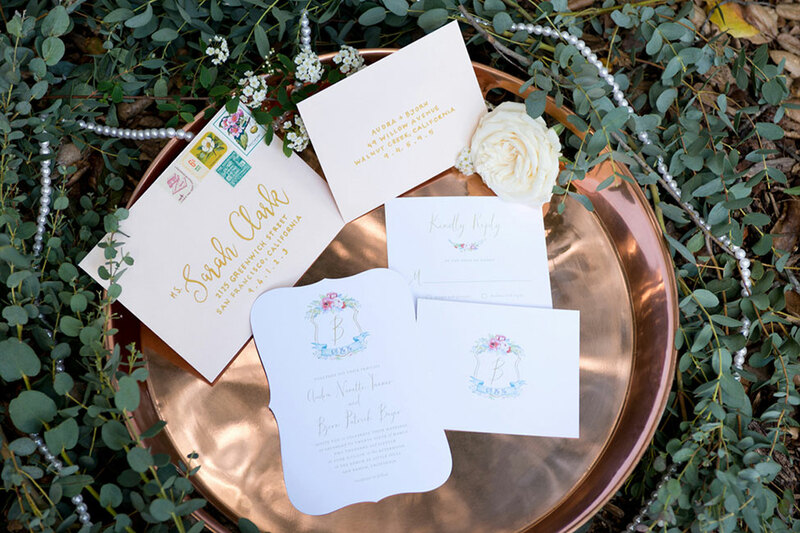 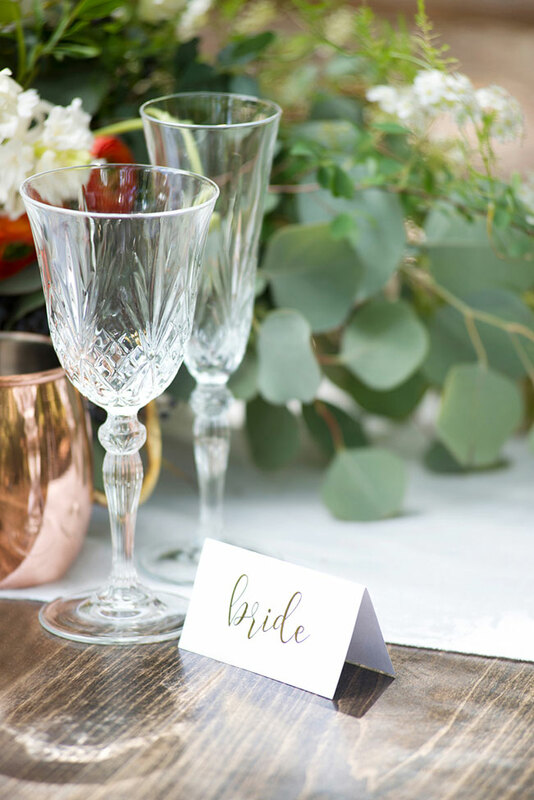 What would normally be described as rustic, with the introduction of wind blown draping, free flowing florals, crystal & metallic accents, becomes the perfect romantic woodland wedding. 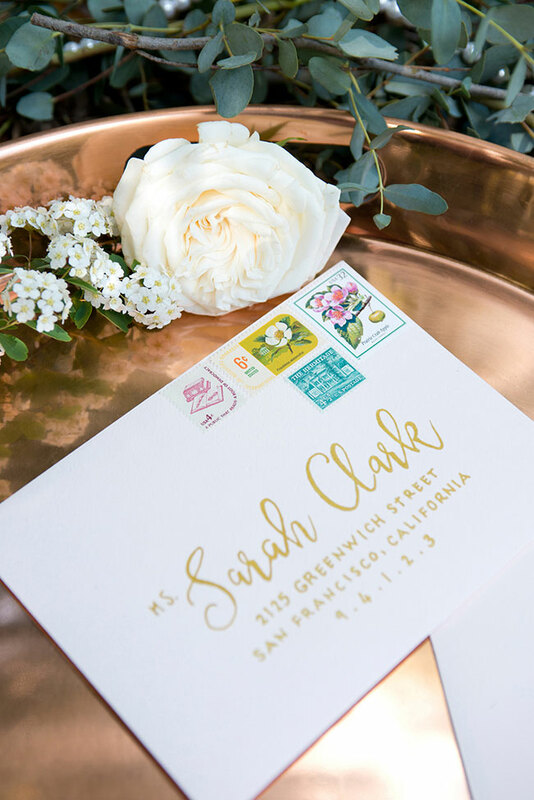 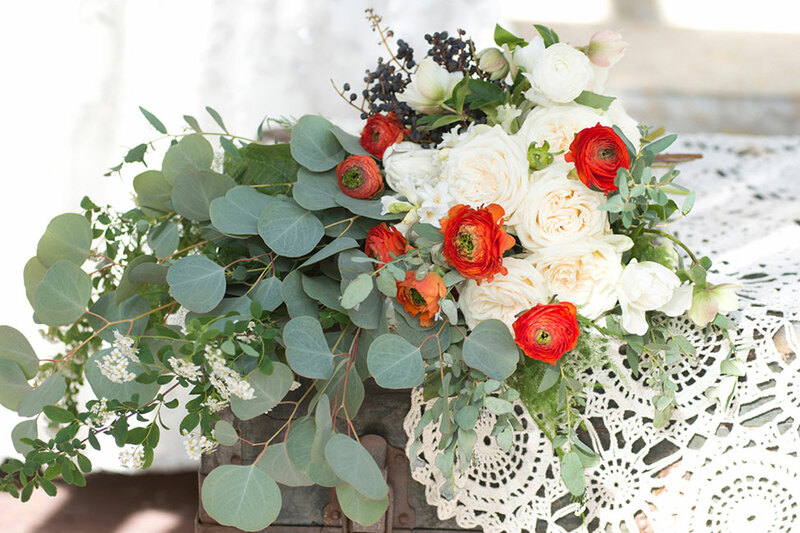 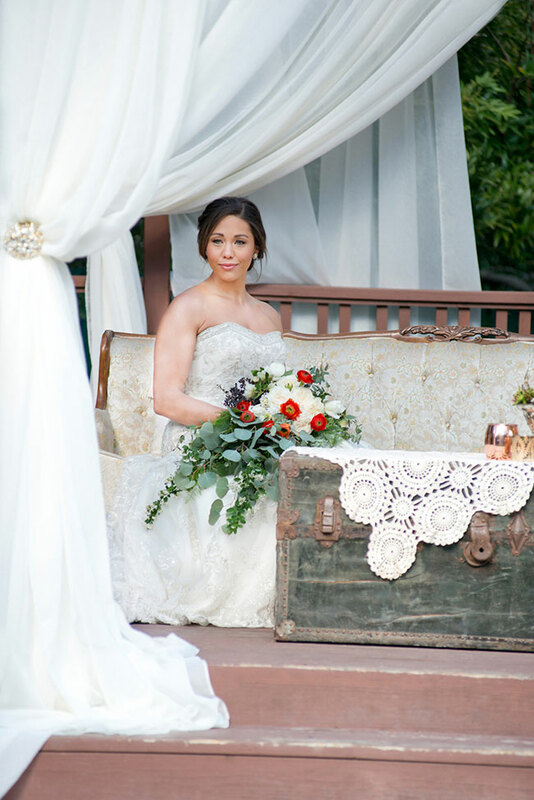 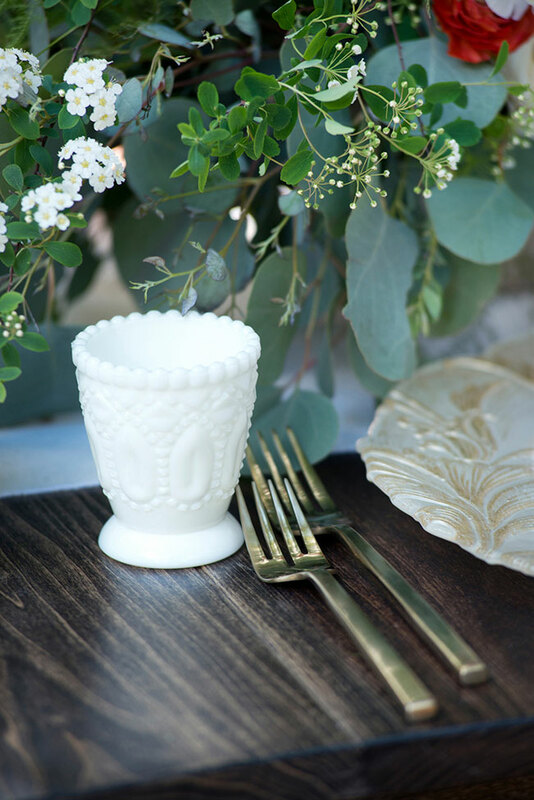 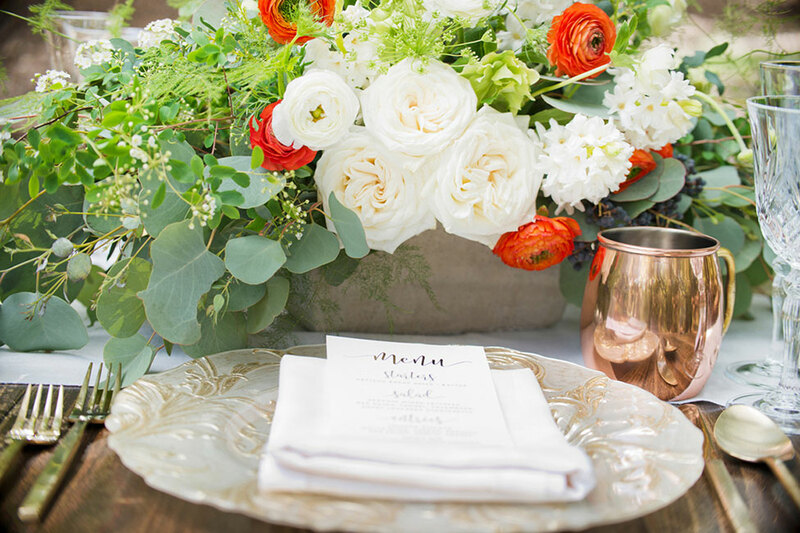 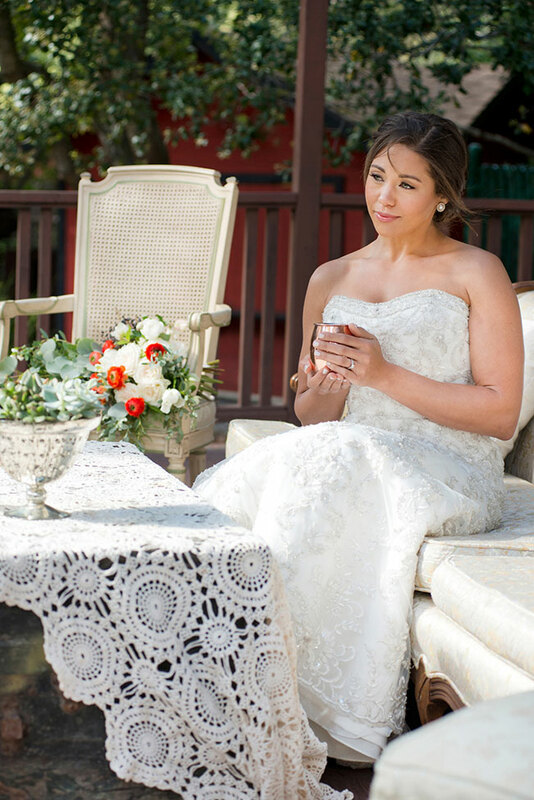 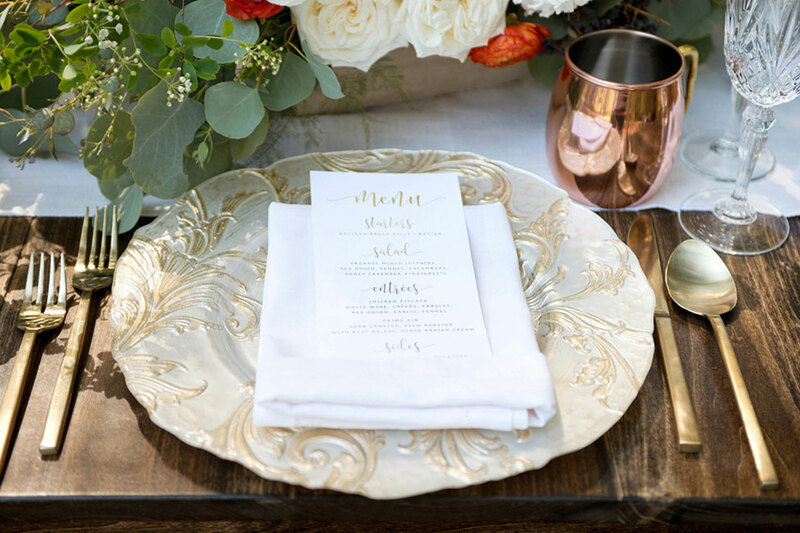 With a pulse on glam, a dash of vintage, it proves that a setting is only the starting point to any vision! 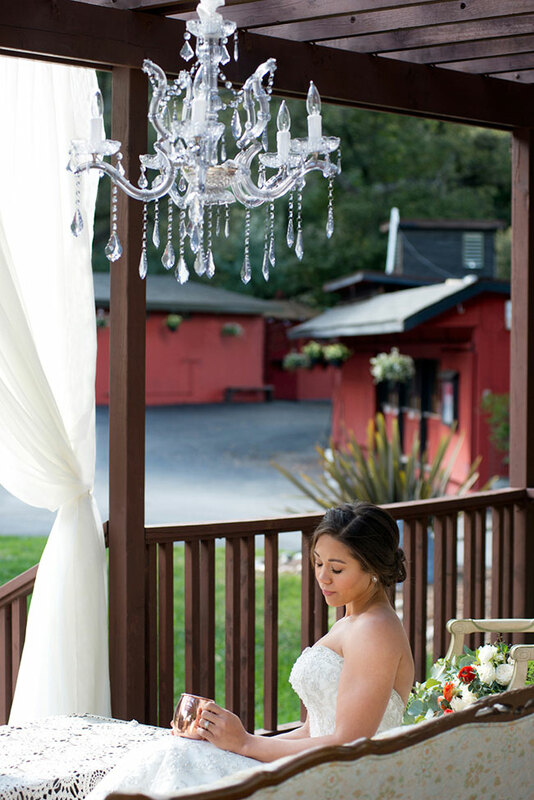 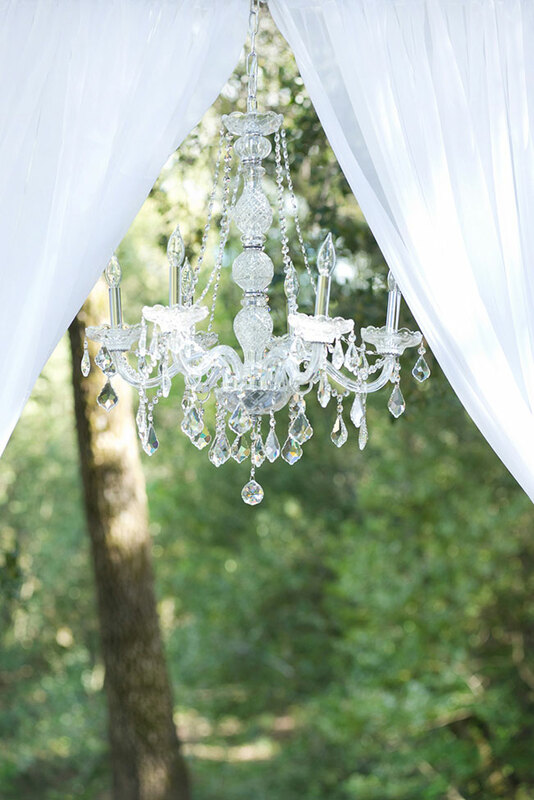 The team of wedding designer Marcella Camille Events along with florist Tumbleweed Floral Truck used a mix of decor pieces from Pleasanton Rentals, Joe Squared, and Gussy Up Décor to craft a sweetheart table for two under majestic redwood and oak trees along with the perfect wood gazebo lounge draped in sheer paneling & chandeliers from Chair Divas. 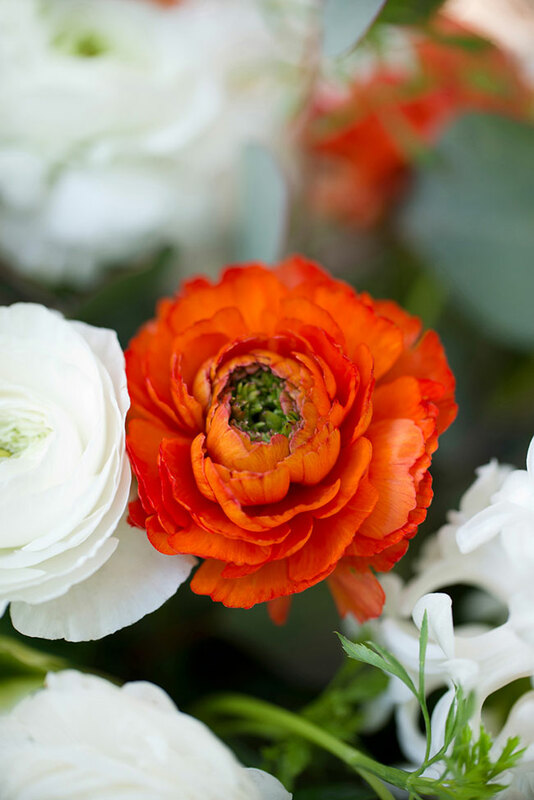 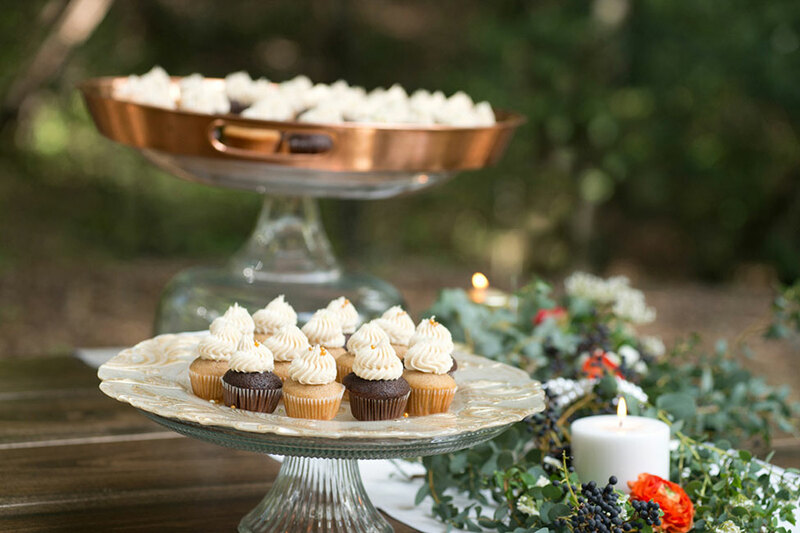 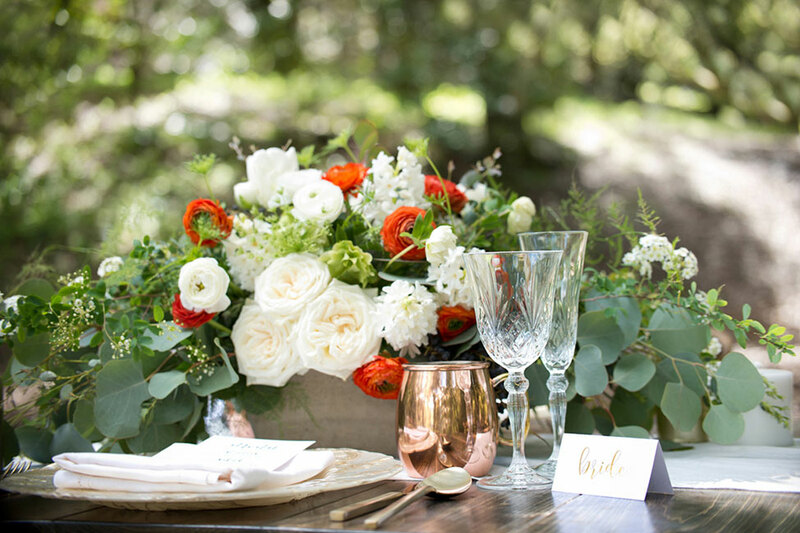 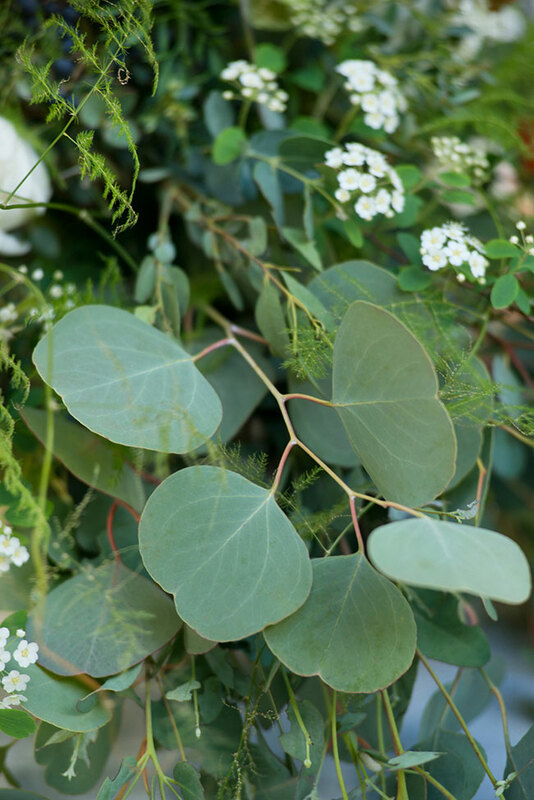 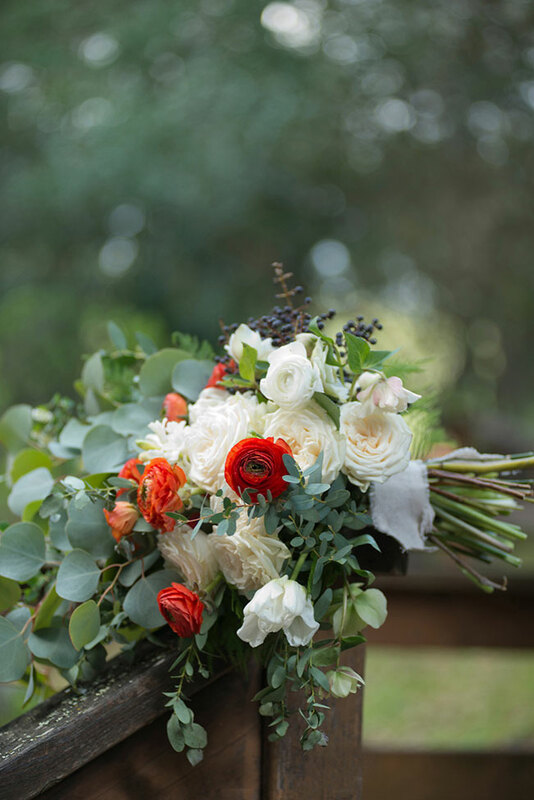 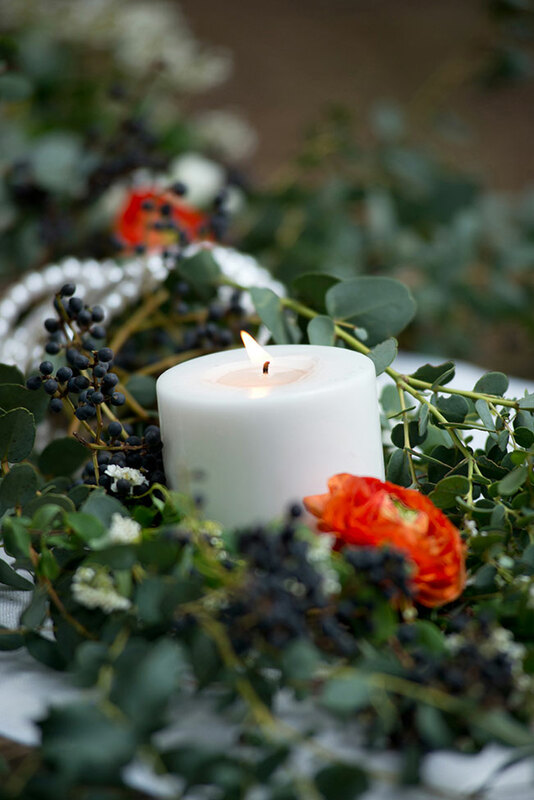 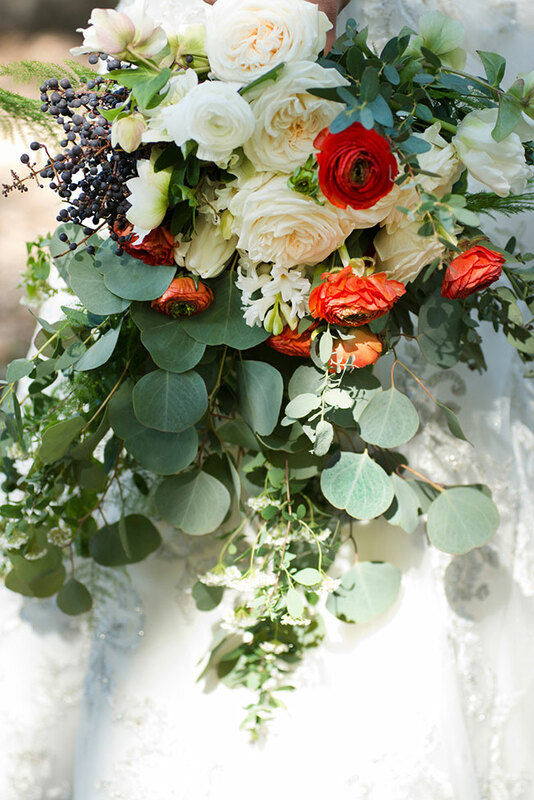 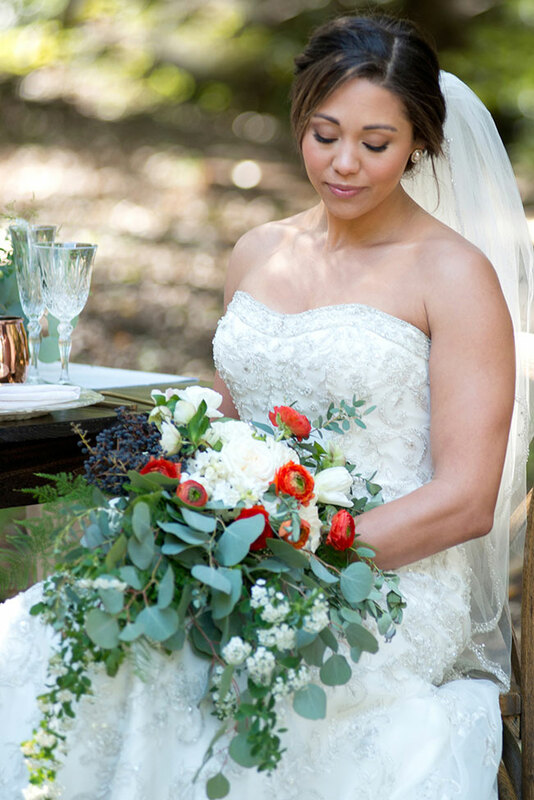 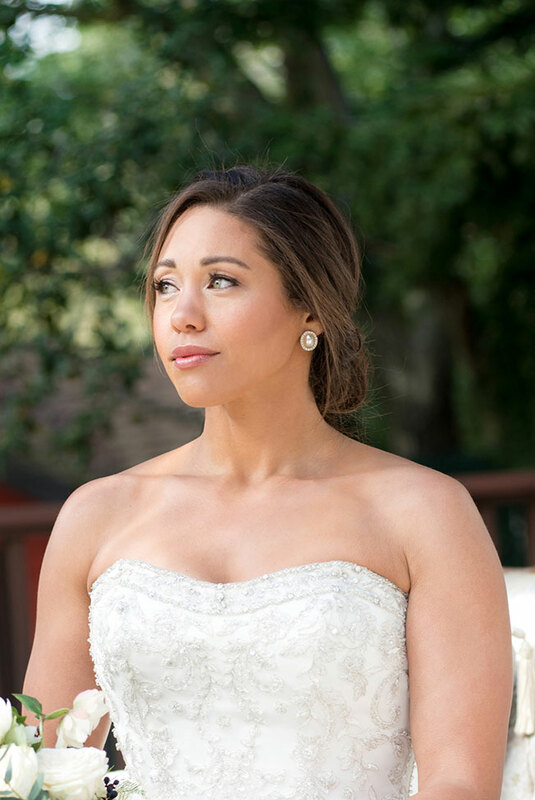 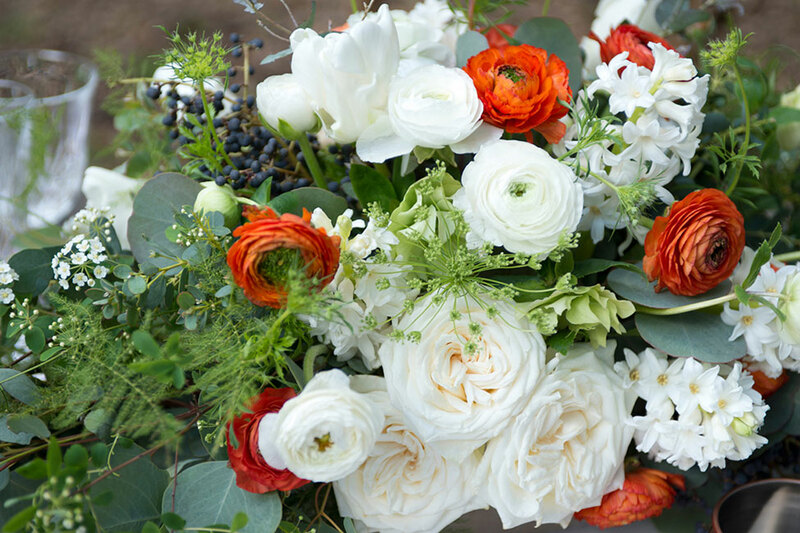 Injecting a more masculine color palette in shades of ivory, green and orangey-reds, the team was able to make the woodland wedding accessible to all, striking the perfect balance. 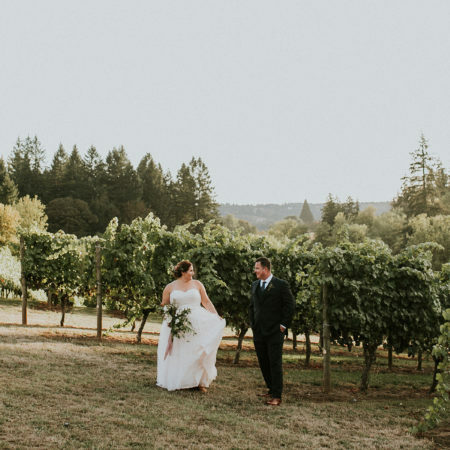 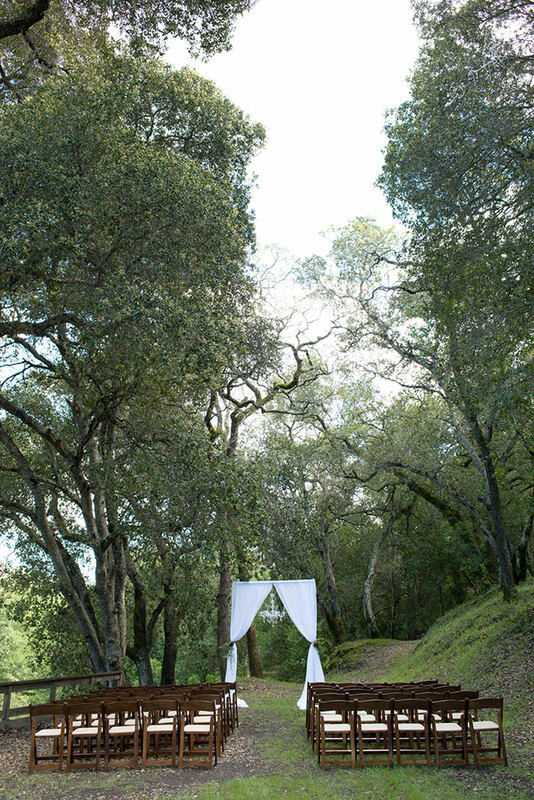 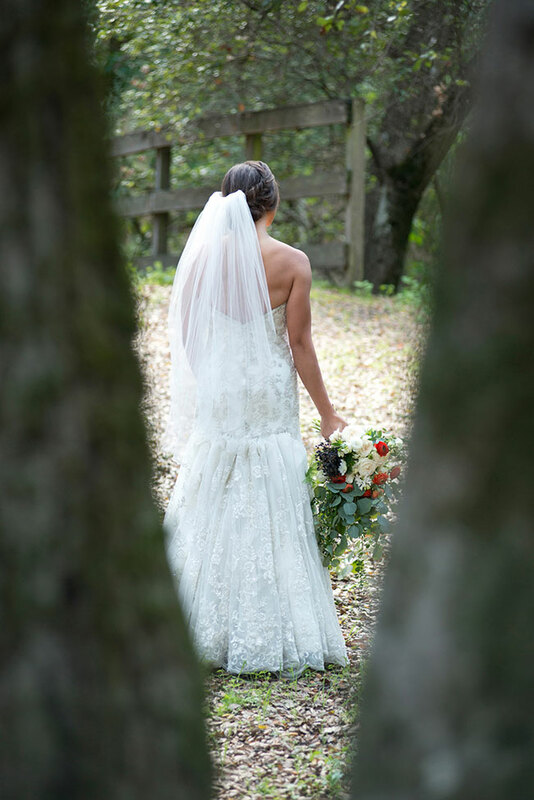 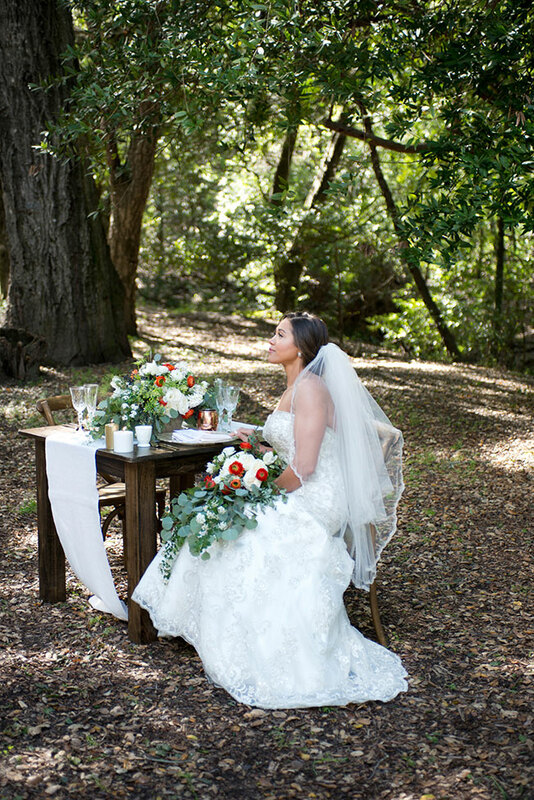 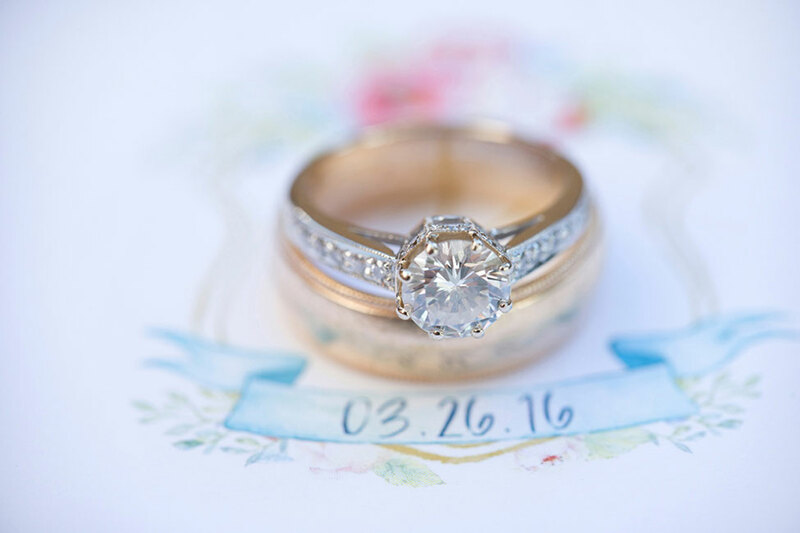 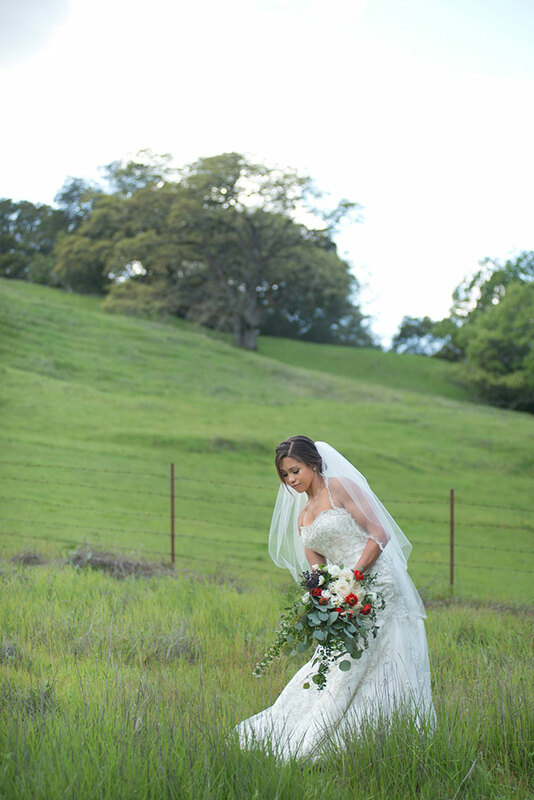 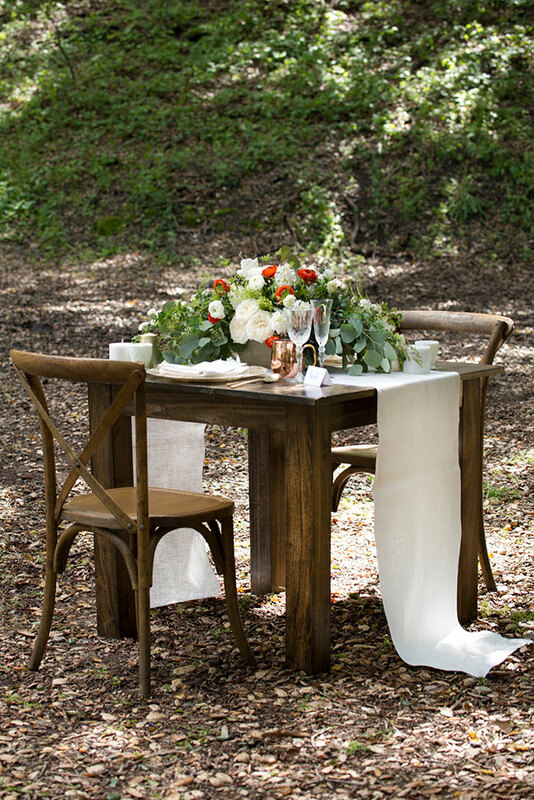 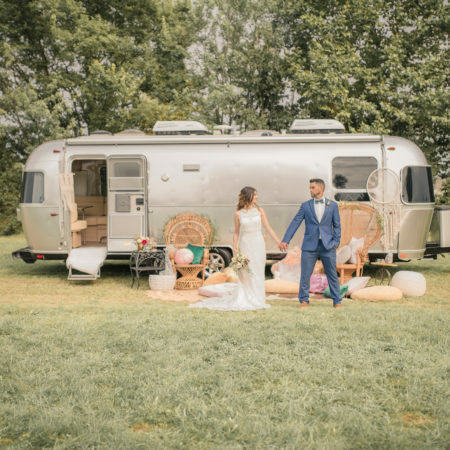 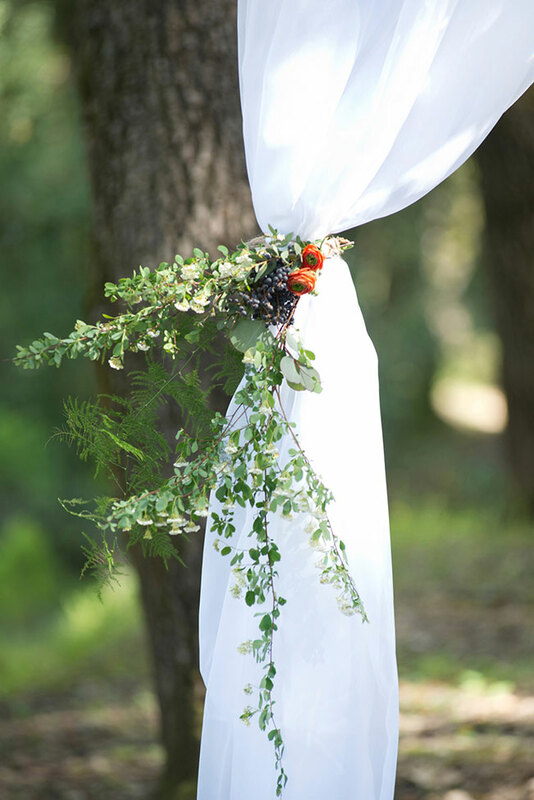 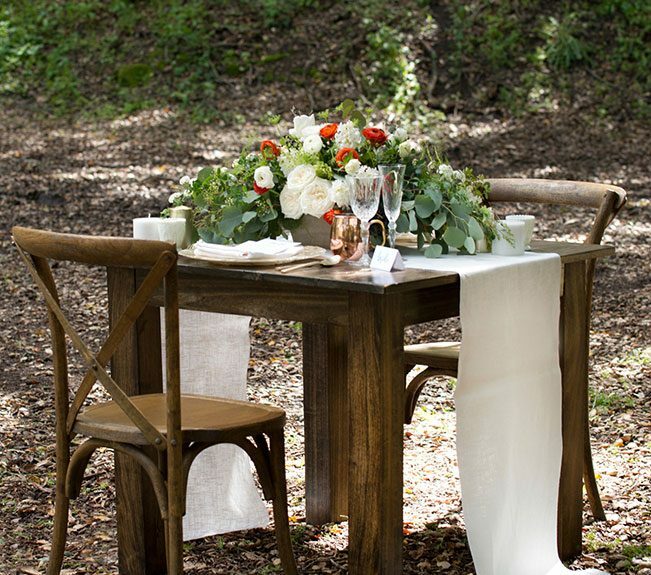 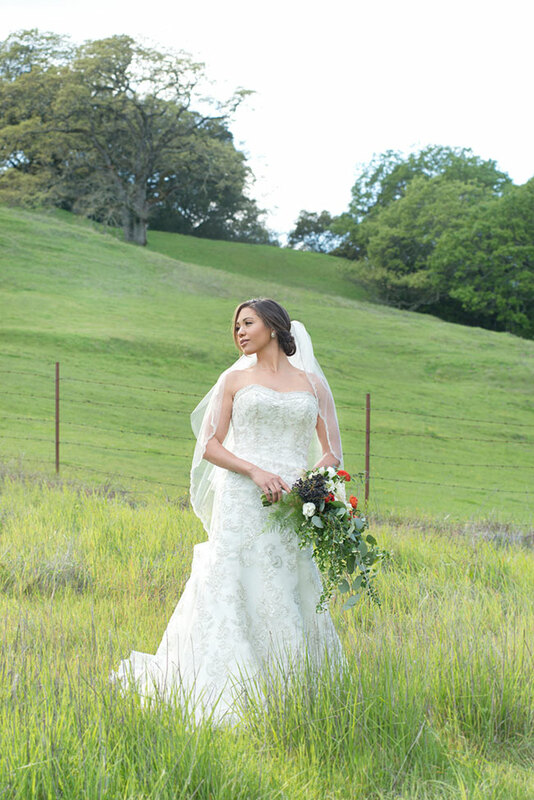 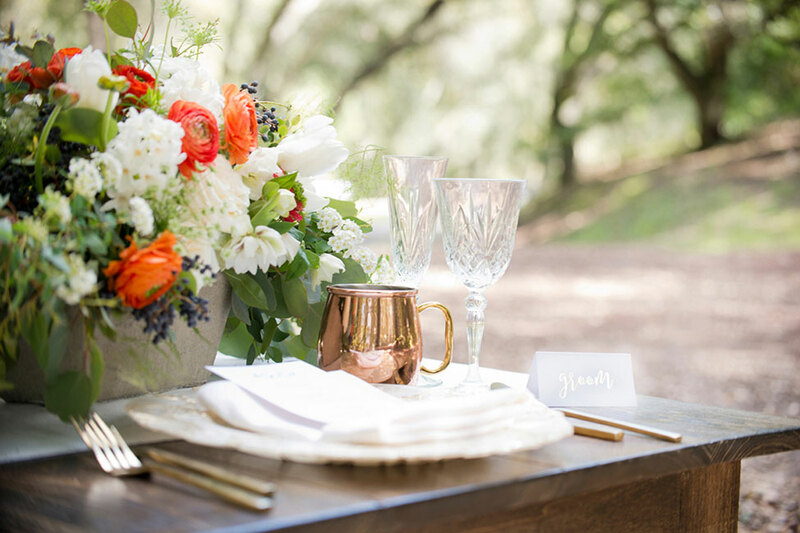 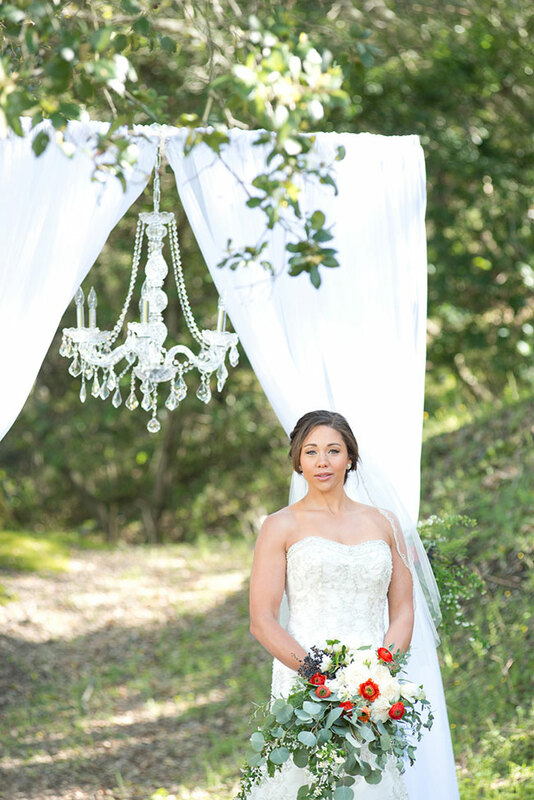 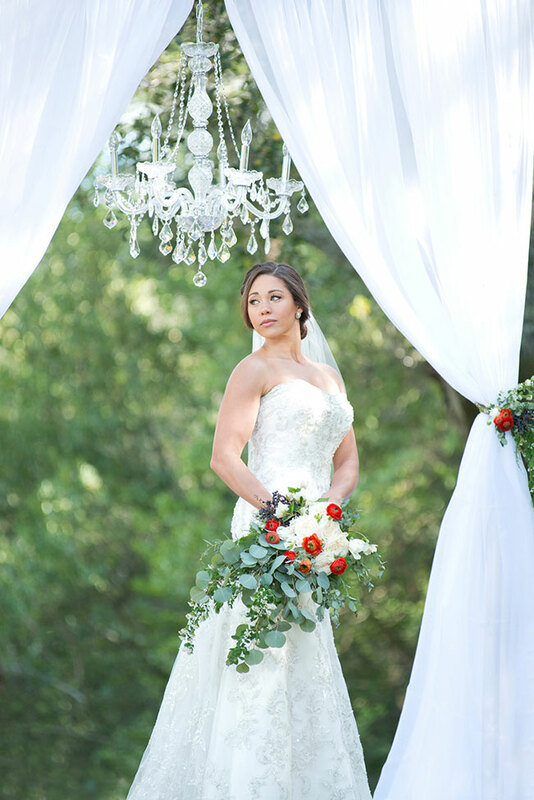 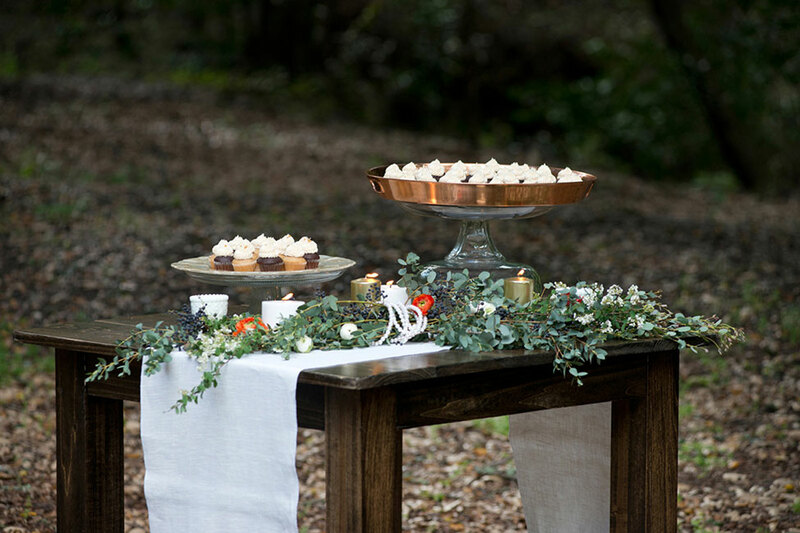 This woodland wedding is just further proof that no matter the locale, all it takes is a little vision!